— Kate is a children's buyer & an expert at knowing what kids like. It's hard work being a farmer--and even harder running a DINOSAUR FARM Children will love spending a day on this vibrant farm, filled with appealing prehistoric creatures of every shape and size. They'll follow the farmer from dawn till dusk, through feedings, cleanings, baby hatchings, and finally to a sweet bedtime nighty-night. Who knew dinosaurs could be so cuddly? 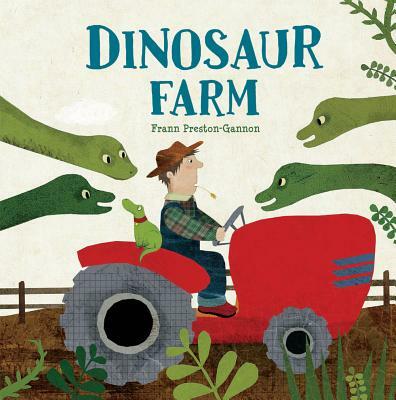 With clever dino-touches throughout, Frann Preston-Gannon's picture book will become a perennial favorite. Frann Preston-Gannon has worked freelance for a variety of clients that include: Vintage Books, Sunday Publishing, The PRCA, Spears Magazine, Pavilion Books, the Times, and Burt's Bees. She is the author and illustrator of The Journey Home (Pavilion Press) and How to Lose a Lemur (Sterling). In April 2011, Frann became the first UK recipient of a Sendak Fellowship and spent a month living with and learning from the great master of illustration, Maurice Sendak, at his home in Connecticut. She was also awarded a bronze place for her unpublished children's illustrations in the 3x3 Magazine annual competition. She lives in London.